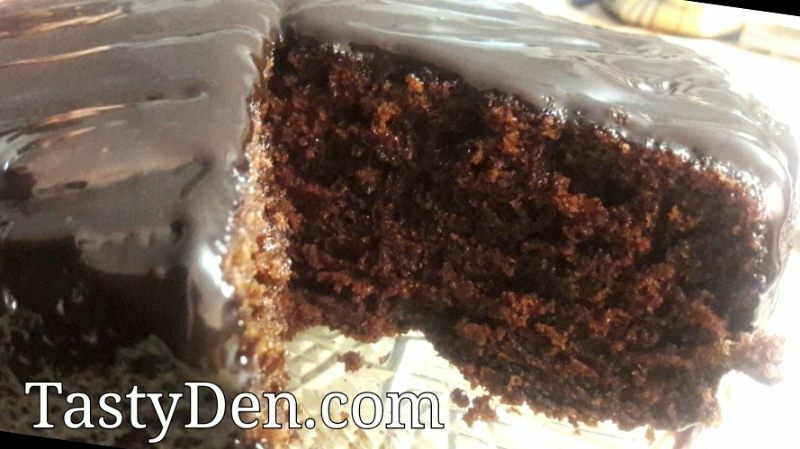 This is a super tasty moist chocolate cake with frosting on top. Preheat the oven to 3500F (1800C). Butter and line 3 8-inch x 2-inch round cake pans. You can use 2 time, I just wanted 3 layers in mine. Sift the ﬂour, sugar, cocoa, baking soda, baking powder, and salt into a large bowl. Whisk the ingredients together by hand. In another bowl, combine the buttermilk, oil, eggs, vanilla and coffee. Add the wet ingredients to the dry and GENTLY mix the batter just to combine. Do not over mix or beat as this cake can toughen up. Pour the batter into the prepared pans and bake for 30 to 35 minutes, until a cake tester comes out clean. This cake cooks fast so check if after 25 minutes. You don’t want to overcook it. Buttermilk Substitute: You can make a replacement for buttermilk by mixing 1 cup of milk with 2 tablespoons of lemon juice. Let it sit for 30 minutes at room temperature, then use. In the bowl of an electric mixer, beat room temperature butter until lightly ﬂuffy. Add the sifted powdered sugar 1 spoon at a time and mix well. It will get light in color and bigger. Add vanilla and cocoa, and the milk, scraping down the sides of the bowl as you work. Turn mixer on medium high. Beat frosting until light, ﬂuffy and of spreading consistency. If the frosting is too thick, slowly add more milk or half and half, one tablespoon at a time, until it reaches the desired consistency. You can use the frosting immediately, or store it in the refrigerator for 3 days, or freeze if for up to 3 months. Allow frosting to come to room temperature before using. 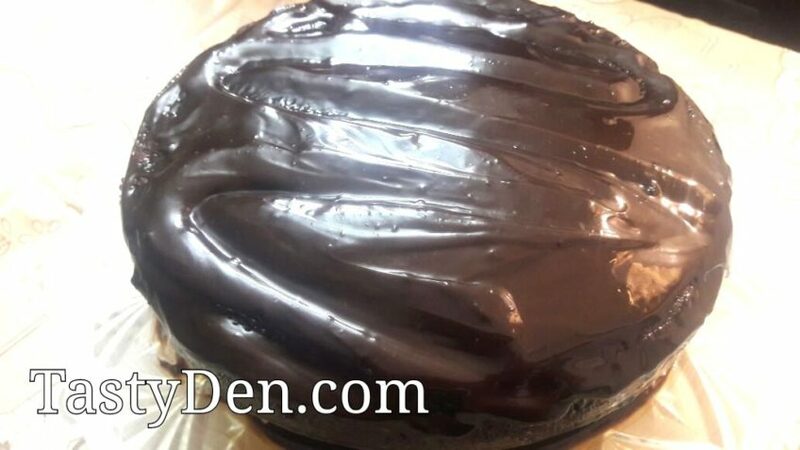 1Place 1 layer, ﬂat side up, on a ﬂat plate or cake pedestal. frosting evenly on the top and sides of the cake. Take the cake from the fridge and put on another, ﬁnal layer of frosting. Try and get it as smooth as you can. To ﬁnish the top of your cake, take a spoon that has been dipped in hot water and dried. Work from the outside in and create a swirl until you get to the center. Finish your cake off with your homemade sprinkles. reaches room temperature before eating.